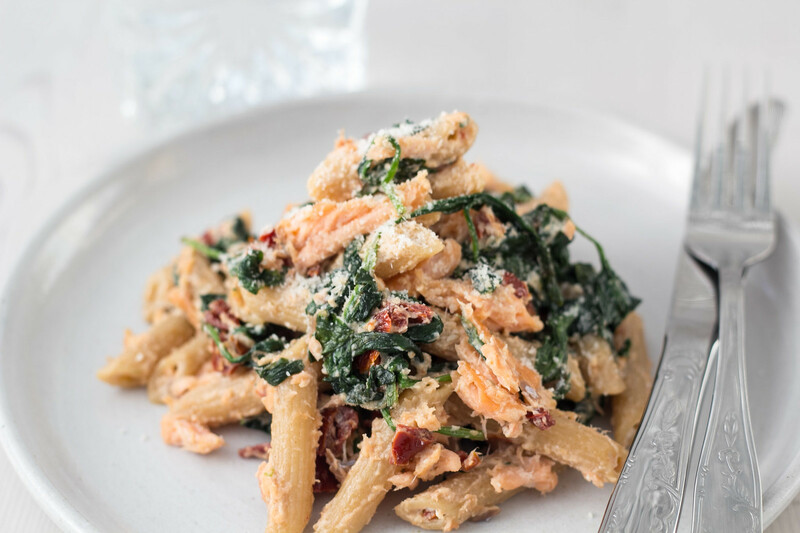 This recipe for a salmon, Spinach and Ricotta Cheese Pasta is just super delicious and absolutely one of my most favorite pasta dishes. 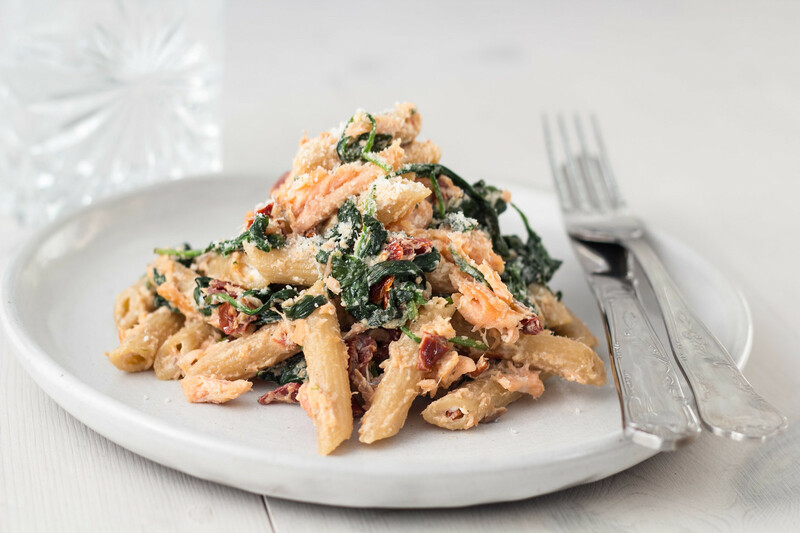 The great thing about this pasta dish, besides that it is very delicious and tasteful, is that it is a great source of good vitamins from the Spinach, good proteins from the ricotta cheese and then the good and healthy fat from salmon. Furthermore, it is quite easy to prepare the ingredients for this dish and in general simple to make. 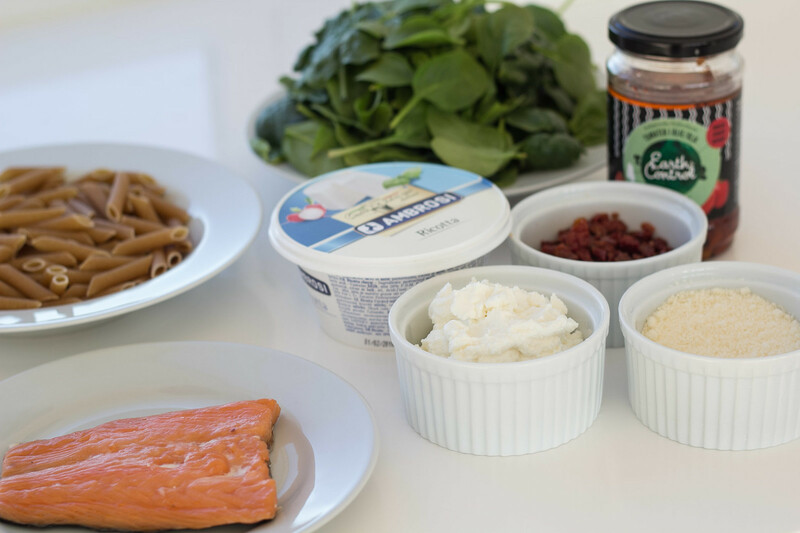 In Denmark, we have some simple and very clear recommendations, from the governmental controlled institution for food and health, saying that you should eat fish minimum twice a week. 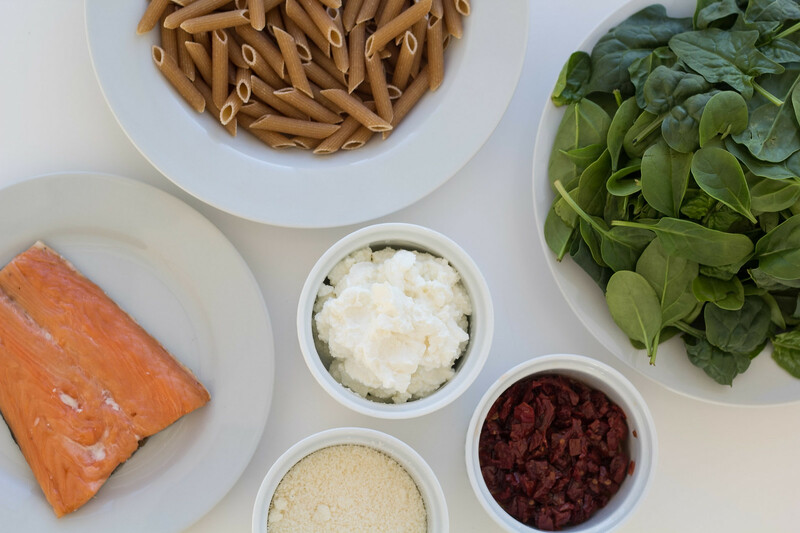 Fish, and especially the ‘fat’ salmon, is a fantastic source of the healthy fish oils which is an important part for maintaining a good health. 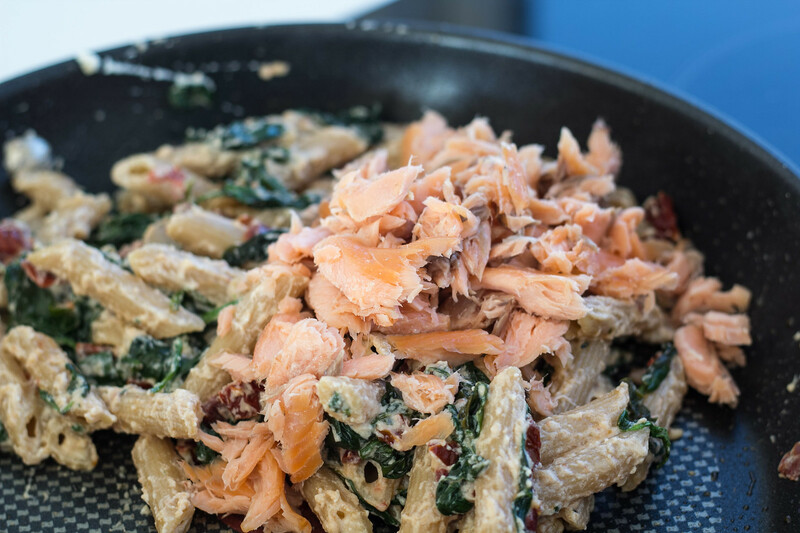 This dish contains salmon and is personally one of my favorite ways of getting fish into my daily life. 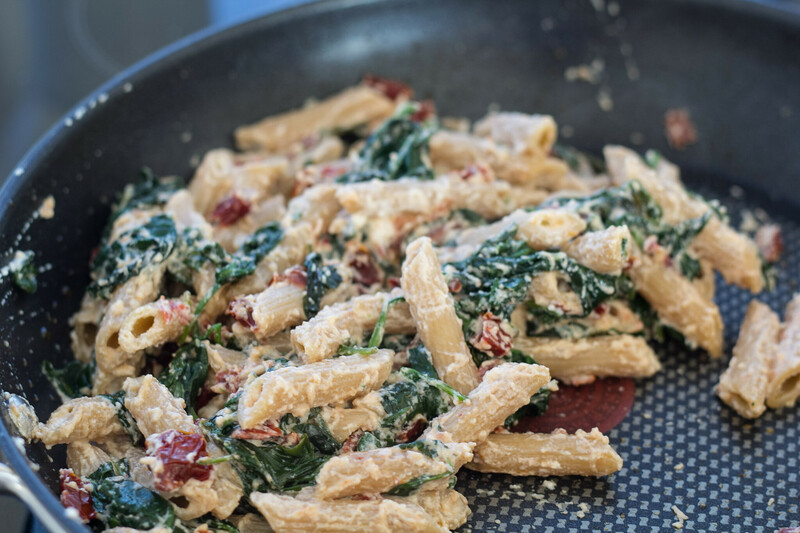 As said above, this dish is actually quite easy to make and it only takes about 30 minutes. You start by cooking the pasta in plenty of boiling water. 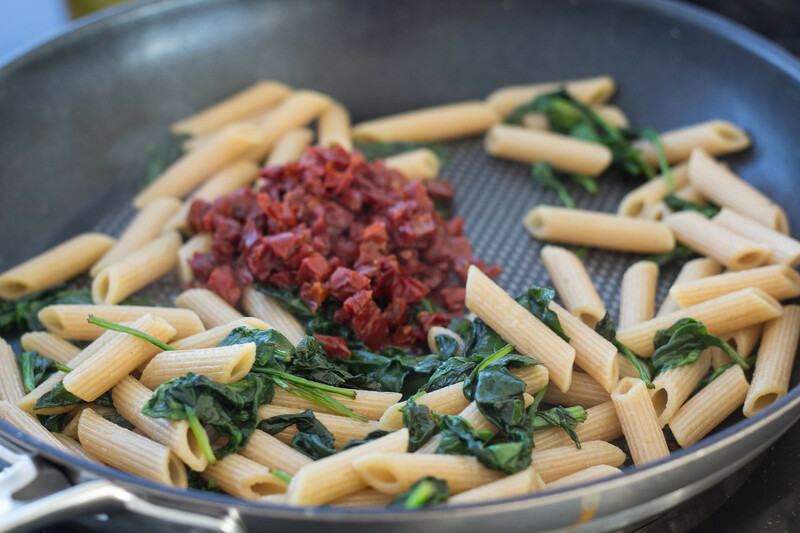 While the pasta is cooking, you can measure out and prepare the rest of the ingredients. 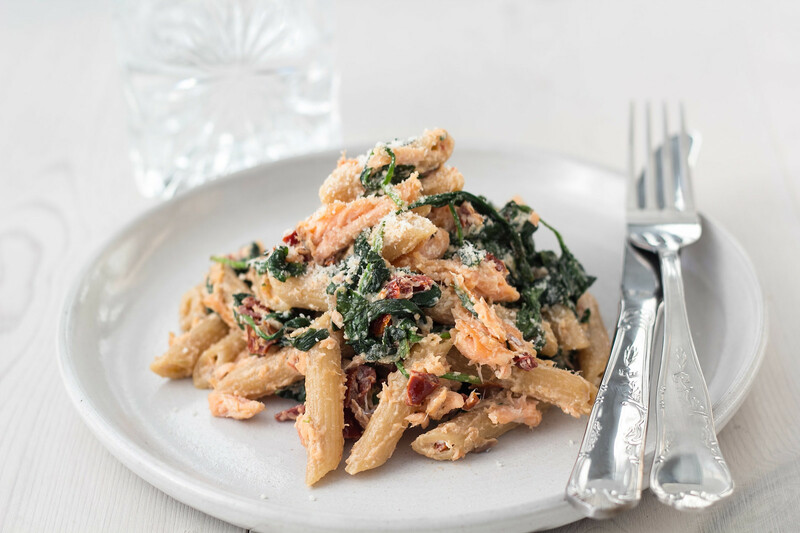 The smoked salmon is divided into smaller bits using a fork and the fresh spinach leaves are rinsed and cleaned under cold water. 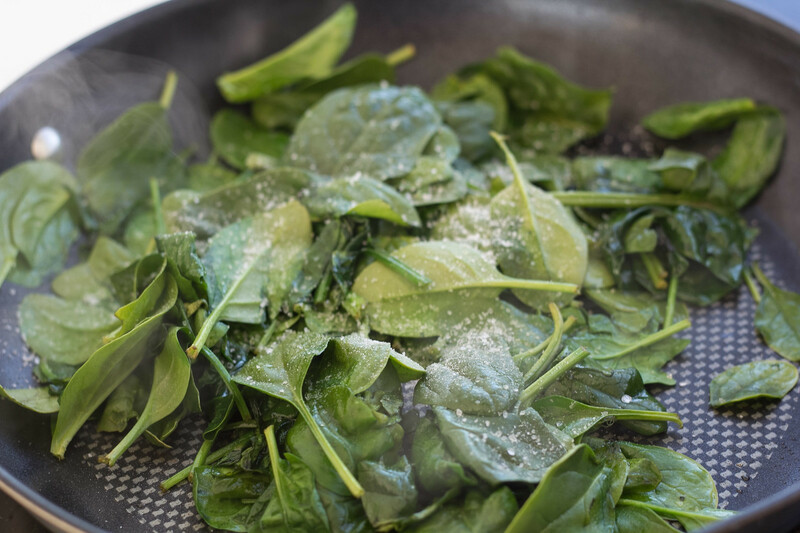 On a frying pan the spinach is fried a little before the rest of the ingredients are added. Fry everything thing while stiring gently. 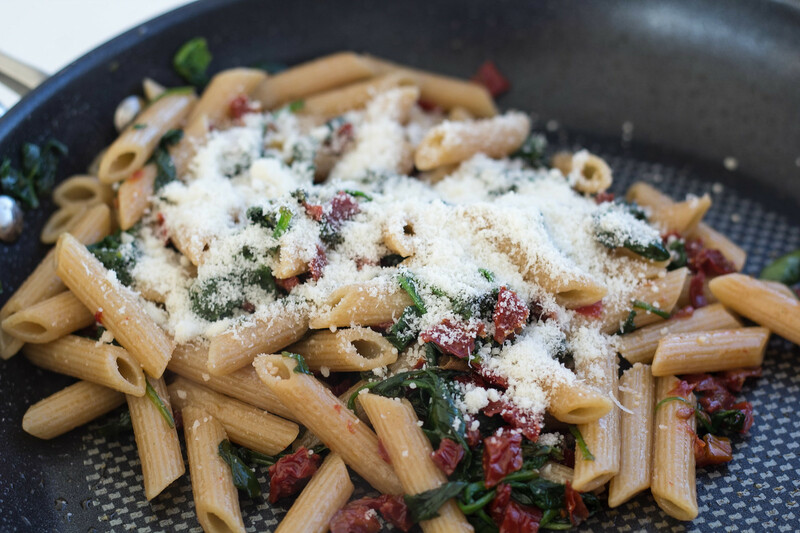 Serve the pasta on a flat dish together with some freshly baked bread. See the full instructions and recipe just below. Enjoy! 1. Start by preparing the pasta according to the recipe listed on the box it came in. 3. 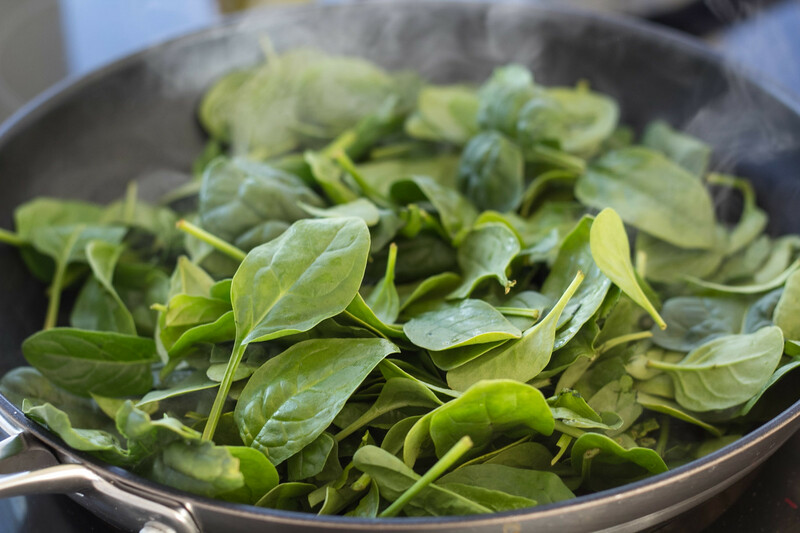 On a frying pan; add some oil and fry the spinach leaves until they have shrunk in size. Season with salt. 4. When the pasta is done; drain away the water using a strainer. 5. 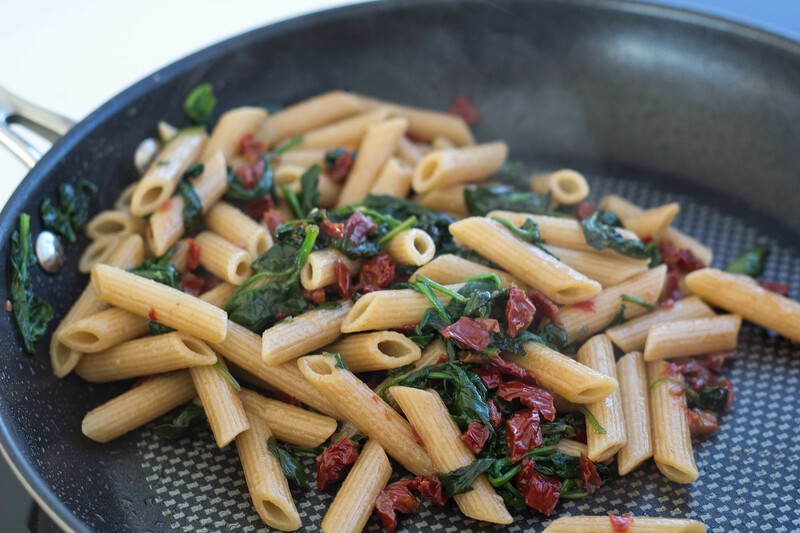 Add the pasta and the chopped sun dried tomatoes to the frying pan. Mix everything. 6. Add the grated parmesan cheese and mix everything. 7. 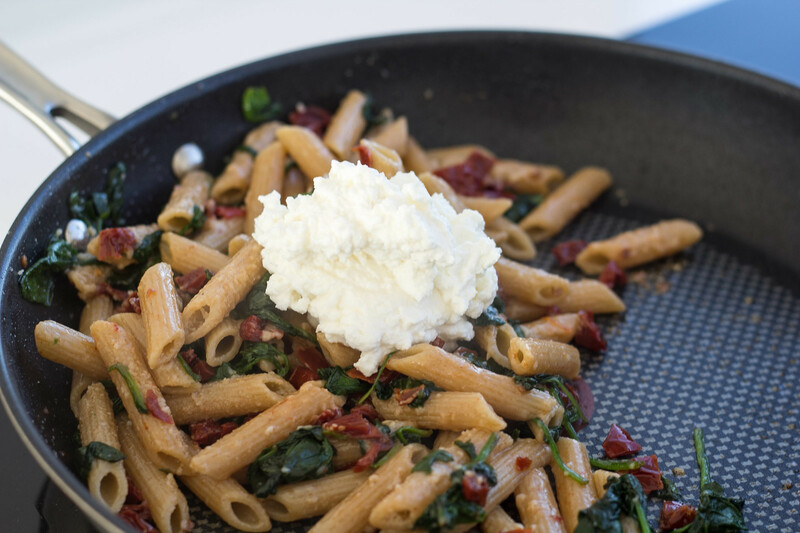 Add the Ricotta cheese and mix everything. 8. 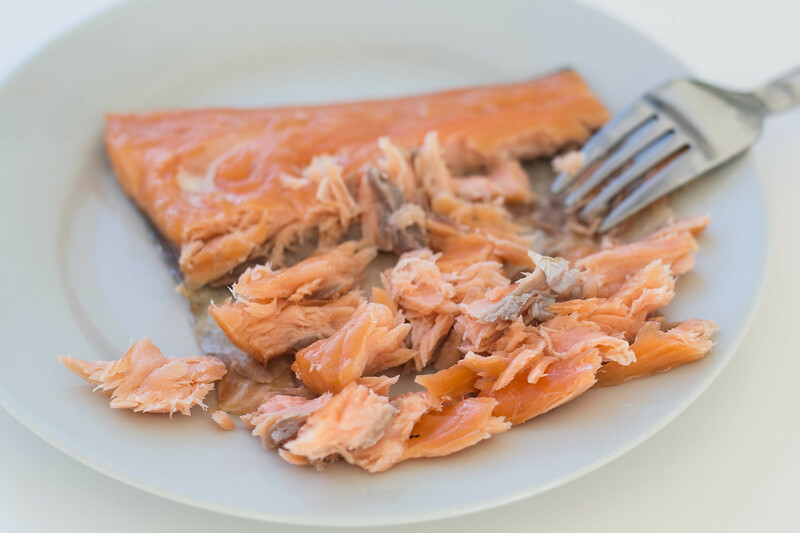 Use a fork to break the hot-smoked salmon into smaller bits. Add the salmon to the frying pan and gently mix everything this last time. 9. 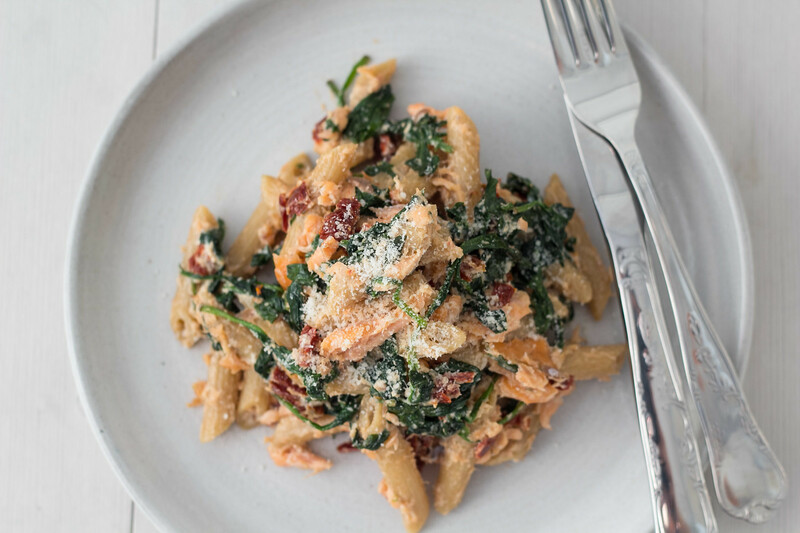 Finally, serve this salmon pasta with some grated parmesan on the top. This was fantastic…loved every bite! 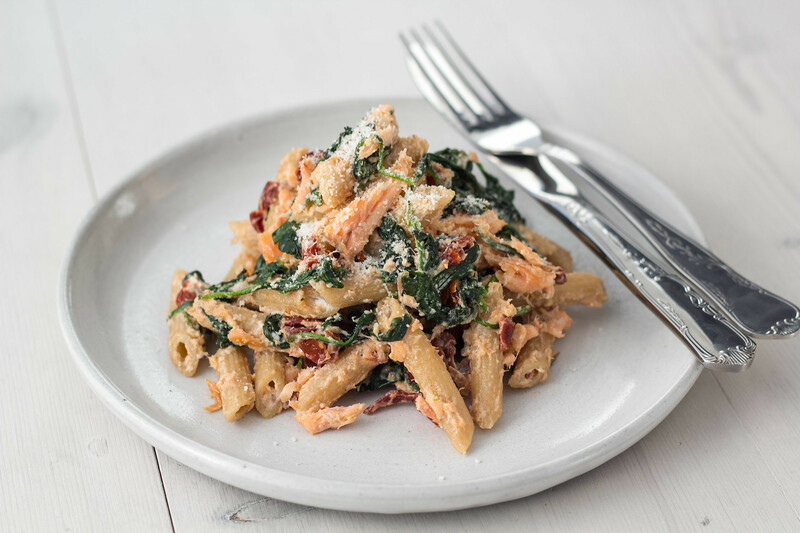 So simple and easy on a busy week night!